As South African Emergency Personnel's Union we hereby welcome you to our ever vibrant site. 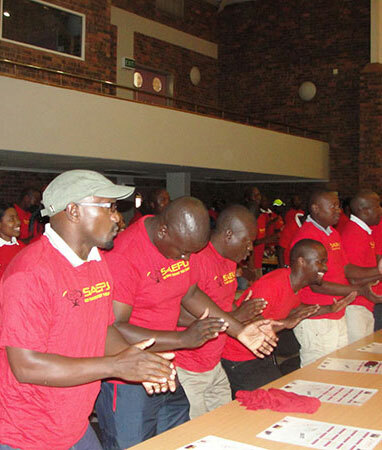 SAEPU is a Trade union that specializes in Emergency workers Challenges in the country. We would like to encourage you if you are a non member to take a step towards the right direction by joining SAEPU, the specialists in EMS. It's time for your voice to make a mark and be heard. → To Nationalize Emergency Services. → For the unification of Emergency Services. → To Create good working conditions. → For your voice to be heard. “The Destiny of Man is to unite, not to divide." → Promulgation of regulations for Emergency Medical Services. → Promulgation of regulations for mass gathering events. → Finalisation of the National Emergency care Education and Training Policy. → Branding of EMS which includes vehicles,uniforms,rank and medical insignia.